If you want to be an archaeologist, what do you need to do to get that first job? Most entry-level jobs are in professional practice, usually as fixed-term contracts doing fieldwork, so you need to be aware of the changes you will encounter as you move away from full-time education. The good news is that by following a few tips while you are a student, you can build up the skills and experience that will help you on the way to getting a job. At university, the archaeology curriculum will be focussed on delivering knowledge about the past, how it is interpreted, methods and theory. Although practical experience is recognised to be important, universities only have limited time and resources to devote to this. 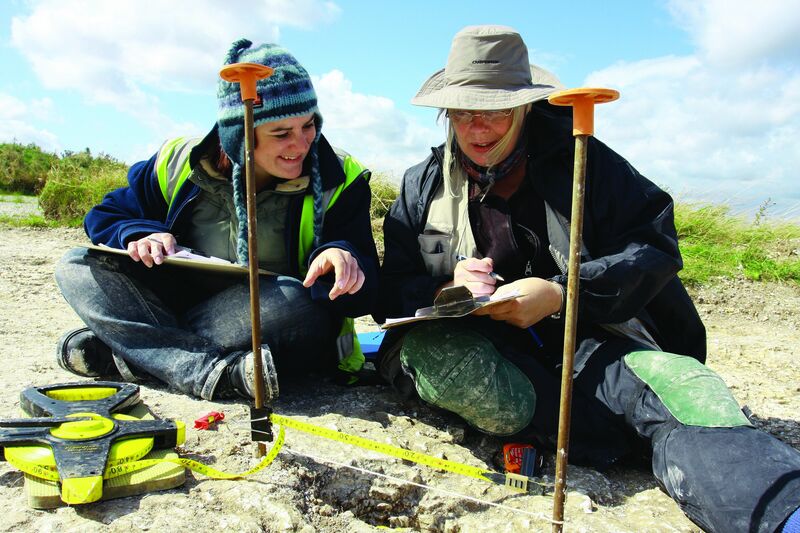 If you are certain you want to be a field archaeologist, consider choosing a university that has a good field school, which will provide digging experience to put on your CV. Employers are keen on practical experience because it means new graduates are better equipped to work for them. This old debate about education versus training is familiar to most disciplines, but the last 20 years have seen dramatic changes in the volume of archaeological work and the ways in which it is done. How can you be more prepared? You can bridge this gap while you are still at university by keeping up to date on the profession, and new discoveries, in publications like Current Archaeology, British Archaeology and the Institute for Archaeologists magazine The Archaeologist. All feature new discoveries and short pieces on what is going on across archaeology as a whole, from issues facing museums to government policies on how archaeology is dealt with in planning applications. If you are in touch with how archaeology is organised and the current issues facing employers, you will be better prepared for getting your first job. A graduate job in archaeology is likely to be a fixed-term contract doing archaeological fieldwork. These get you into archaeological employment; from there, it is much easier to get a permanent job. The number of these jobs is directly related to how well the economy is doing. As most archaeological work is done in relation to building developments, employment dropped off sharply early on in the current recession, but the profession will be amongst the first to benefit when the economy improves. Although your first job may well be doing fieldwork, it is important to recognise there are many other types of jobs in commercial archaeology. The larger practices, called ‘Units’, also do historical studies, building recording and have a wide range of experts in finds, environmental archaeology, graphics and computing. There are also specialist companies dealing with geophysical surveys, marine archaeology and consultancy. Some of the largest units also provide these services, which means that it is now easier to work in a specialist area or move into management. Having all-round skills is a good starting point. Essentially, universities and commercial units use the same techniques and produce similar fieldwork reports. However, the aims of the projects are different and so is the way they are done. Universities will balance fieldwork that relates to their own research interests, with providing training for students. In professional practice, clients contract the projects and the work is bid for in a tender; therefore, conditions are stricter. Pull quote (if needed) Fieldwork should be sociable and enjoyable, but you must also think of it as a stepping stone to build up the skills and experience that will help you stand out and get that first job. Unlike a university project, where time is already paid for (staff have a salary and the students have a debt!) professional practice is run as a business, even where the practice is a charity and not-for-profit. Some of the biggest changes new graduates face in practice is the speed at which they will have to work and the pressure that comes with it. These are some of the reasons why employers ask for experience from applicants for fieldwork posts. It shows commitment; and, people with experience should be able to work more quickly and require less supervision from other staff. Therefore, regard your time at university as training time, particularly when doing fieldwork. Fieldwork should be sociable and enjoyable, but you must also think of it as a stepping stone to build up the skills and experience that will help you stand out and get that first job. Below there are my five top tips for getting your first job in archaeology. They are particularly aimed at professional practice but will still be useful if you want to go in other areas such museums or academia. Don’t wait until after final exams. Follow these simple tips while you are at university and give yourself a head start. Start with projects run by universities or local societies. There are volunteer opportunities available all over the country during the summer; having experience on a range of digs will help your CV. Working in a museum or record office also provides valuable experience. This work experience is likely to be unpaid, but it helps the organisations and shows employers you are interested and committed. Try to work on different types of projects and do different things. If you are on a dig, go beyond the trowel and work with the environmental samples and finds processing. Making records, whether it is through planning, filling out record forms or surveying, is particularly important. Understanding why things are recorded and the significance of those observations is vital. Don’t be afraid to ask to do this — supervisors will be pleased you are taking an interest. Most permanent jobs in fieldwork require you to drive as part of the job. It is hard to fit in lessons if you are away from home digging, so be sure to so plan this into your vacations. Tell your parents or guardian they need to invest a teeny bit more in your future sooner rather than later! If you have a disability that means you cannot drive, you should look at this issue carefully. Most projects and jobs will ask you to send in a completed application form or a CV. This CV is about your employability, not just your educational achievements. You need to tell people about your archaeological experience, your transferable skills such as graphics, and your soft skills such as team working, presentation and communication skills. Summarise these skills and experience in a covering letter. 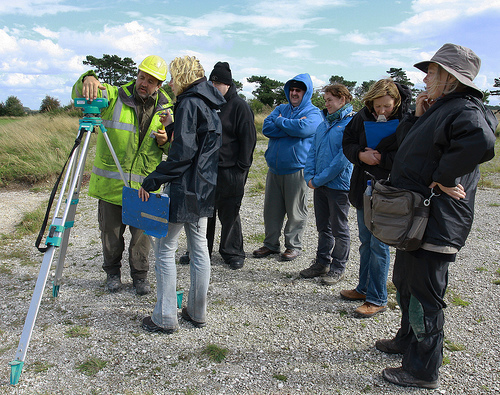 The Institute for Archaeology has student membership which gives you access to information and training about professional practice. Joining the IfA will help show employers that you are serious about the profession. Thanks for all this great information! I just signed up for a class on how to use an excavator. I figured that would help me if I have some experience. I’ll have to try some of these tips as well! I am very interested in joining an archeological dig this summer. I will be spending summer in Spain. I would prefer Spain but all countries and areas considered. Any advise would be appreciated. Thanks for your message. We don’t cover Spain, but we have just updated our list of digs taking place in the UK and Ireland here: https://www.archaeology.co.uk/digs. You can search by date, area, and other criteria.